On top of being known as the “City Of Festivals” and “Cream City,” Milwaukee has been aptly called “A City Of Neighborhoods.” While enclaves like Bay View, Walker’s Point, and Third Ward are well-known neighborhoods, much of the city is reduced to broad regional generalizations like the East Side, South Side, North Side, and Downtown. In reality, Milwaukee has approximately 100 different neighborhoods, each with their own landmarks, their own distinct style, a unique history, and at least something to set it apart from its community counterparts. The artistic undertaking ran out of funding in 1990, leaving the project incomplete. 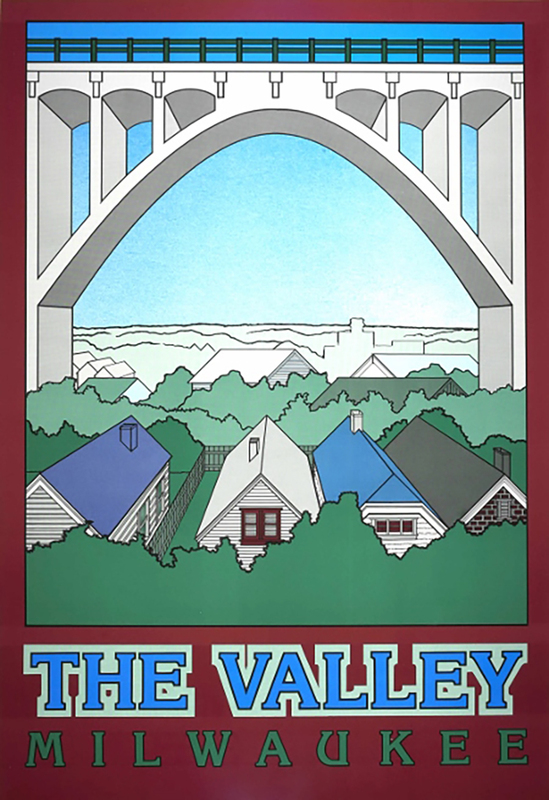 However, Kotowicz and Gurda got the band together again in 2015 to release 11 new neighborhood posters to coincide with Gurda’s book, Milwaukee: City Of Neighborhoods. Though still well short of capturing every part of Milwaukee, the series makes quite a dent. These posters don’t just have noble intentions and a positive community focus, they’re also awesome. Even the worst one is great. Best yet, they can still be purchased from the Department of City Development and Historic Milwaukee, Inc. on the cheap. This Milwaukee Day (April 14), Historic Milwaukee, Inc. is selling them for just $4.14. As you prepare to celebrate Milwaukee and ponder a print purchase, allow us to rank every Milwaukee neighborhood poster. We love them all, but there are some clear favorites here.